Do you need assistance to find what you're looking for? Most information can be found by clicking the About Us button on the left, or in the Quick Links to the right. If you need information translated in spanish or other languages click the drop down menu on the right entitled, "select language." 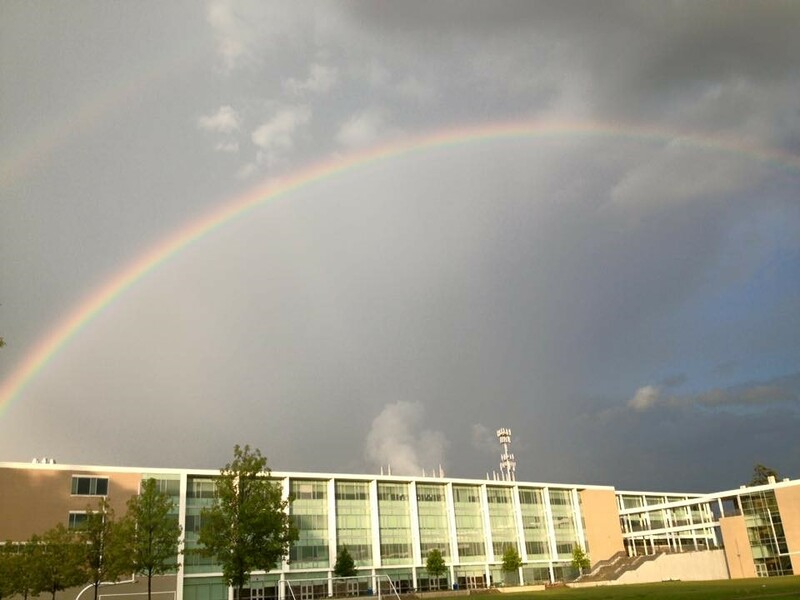 Click here to find out how you can stay connected and in the know about CCHS News and happenings. For Bulldogs news of athletics events, please click the athletics button on the left. You may also look under the athletics button for individual sports & their news. Click above to watch our broadcast team deliver timely and informative news. Announcements from the Counseling Department, including college visits, scholarships, and testing. For pertinent information related to seniors be certain to click the link above. With April 20th quickly approaching, the excitement of the senior prom is heightened. Please take a moment to click the link below to complete the 2019 Prom Guidelines Form. It must be returned to Mrs. Clark by April 19, 2019 if you plan on attending. The Dekalb County School District's Region I Strategic Plan can be viewed by clicking the link below. Need to order a transcript? Current students and alumni can now request an electronic transcript through Parchment. Click on the button below to order your transcript today! Students interested in participating in dual enrollment for the 19-20 school year, must have all documentation submitted to their CCHS counselor by April 15, 2019. April 15, 2019 is the deadline for students to sign up for dual enrollment for the 2019-2020 school year. Please keep in mind that some colleges do require the SAT/ACT for dual enrollment so students should register for either the March SAT or Feb ACT as soon as possible to ensure they have scores to submit with their dual enrollment application. More information will be forthcoming soon regarding Dual Enrollment Night. To learn more about dual enrollment, please visit GA Dept. of Ed. Dual Enrollment. To better prepare students for the upcoming assessment, the Georgia Department of Education has released Study/Resource Guides for both the End of Grade and the End of Course. Study/Resource Guides are intended to serve as a resource for parents and students. They contain practice questions and learning activities for each content area. Please share these valuable resources with students, parents and all other stakeholders. Experience Online Testing Georgia is a practice site that allows students to see what testing online is like. The primary purpose is to let student experience the functionality of the online testing platform. This site is open to parents, as well. 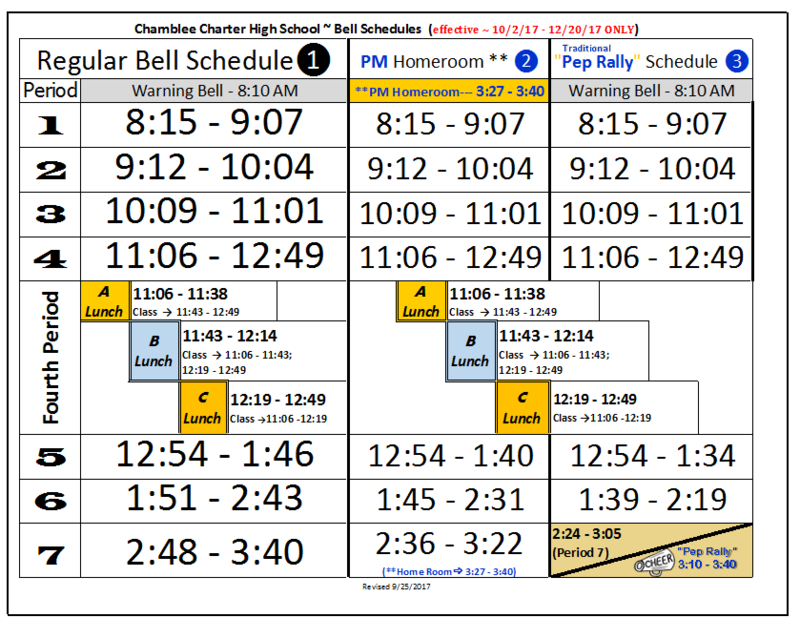 Commemorating Chamblee Charter High School is a proud tradition of the Senior Class. This year, with your help, we will continue our Senior Class Legacy by bestowing a gift in honor of the Class of 2019. For additional information, click the link below. Cap & Gown Portraits are NOW READY to view and purchase through Cady Studios. Nothing says achievement better than showcasing your senior with their cap & gown portraits. Click the banner to view and purchase. Get your running shoes ready! The 14th Annual Chamblee Kathryn Cox Memorial Run will take place on May 11, 2019. To register click the logo below. The CCHS Title I Enrichment Academy is now a fully operational after-school tutoring and enrichment program. Click the link below for additional information and to sign up today. La Academia de Enriquecimiento Título I de CCHS es ahora un programa de enriquecimiento y tutoría después de la escuela completamente operativo en el que los estudiantes reciben asistencia de cursos en todos los cursos EOC por maestros certificados. El programa opera de lunes a jueves de 3:30 PM a 4:30 PM. Llame a la escuela y pregunte a la Sra. Begum si tiene alguna pregunta o simplemente desea ver si este programa es adecuado para su hijo. Si está interesado en el transporte, indique que cuando entregue su solicitud completa a la escuela para que se puedan hacer las rutas de autobús. El programa se ejecutará hasta el final del semestre. Se le pide que participe como la petición de su padre o madre. El transporte para el programa está disponible para los estudiantes que asisten al programa. Please take the time to review the revised 2018- 2019 Student Parent Handbook. Click the link below. In an effort to ensure consistency and build positive relationships with students and families, the CCHS Counseling Office will implement new counselor assignments effective Tuesday, Jan. 22, 2019 for all 9th-11th grade students. All seniors will remain with their current counselor; these changes do not apply to current seniors. Please note that if students have established a relationship with another counselor for emotional support, they are welcome to still see that particular counselor when available. Beginning with the 2019-2020 school year, these changes will apply to all students in grades 9-12. Contact information can be found on the counselor page of the website. Thank you for your continued support. 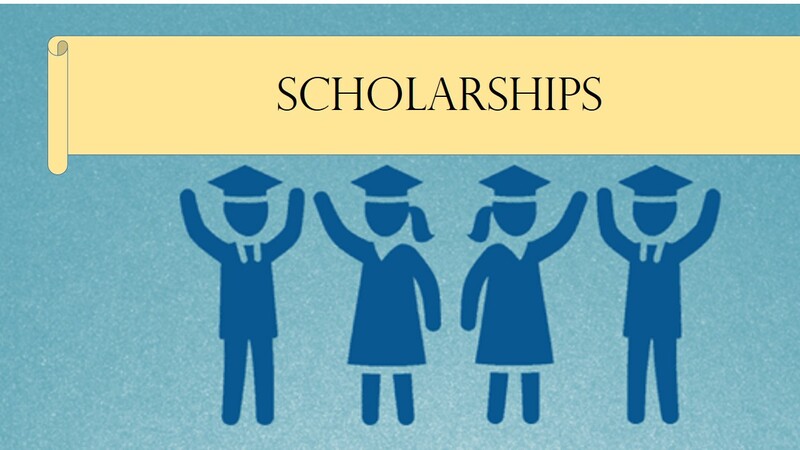 Please take the time to read the Chamblee Scholarship Newsletter for your chance to discover scholarship opportunities that you may not be aware of. Click the image below. For information related to Title I click the link listed below. If you would like more information about PTSA please click the link below to visit their website. 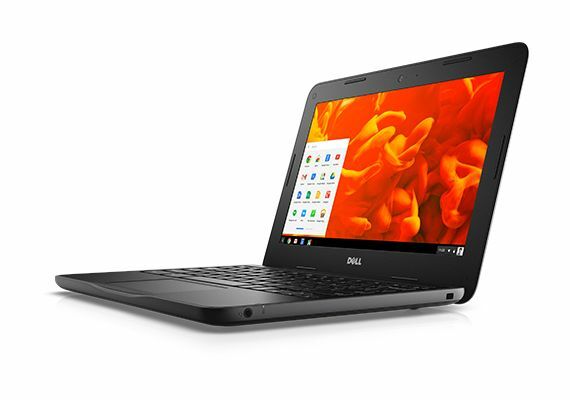 Please take a moment to review, sign and return the Digital Dreamers Student Device User Agreement for Chromebooks. Click the image below. To find out important details regarding Digital Dreamers click the links below. NEED TO TALK? HELP IS AVAILABLE! 1-800-273-8255. The National Suicide Prevention hotline is available 24/7. If you feel you are in a crisis, whether or not you are thinking about killing yourself, please call the Lifeline. People have called for help with substance abuse, economic worries, relationship and family problems, sexual orientation, illness, getting over abuse, depression, mental and physical illness, and even loneliness. Parking lot is accessible via Pierce Drive off of Chamblee Dunwoody Road or Pierce Drive off of Peachtree Industrial Blvd (highly suggested entrance). Please do not park in the neighboring businesses parking lots.